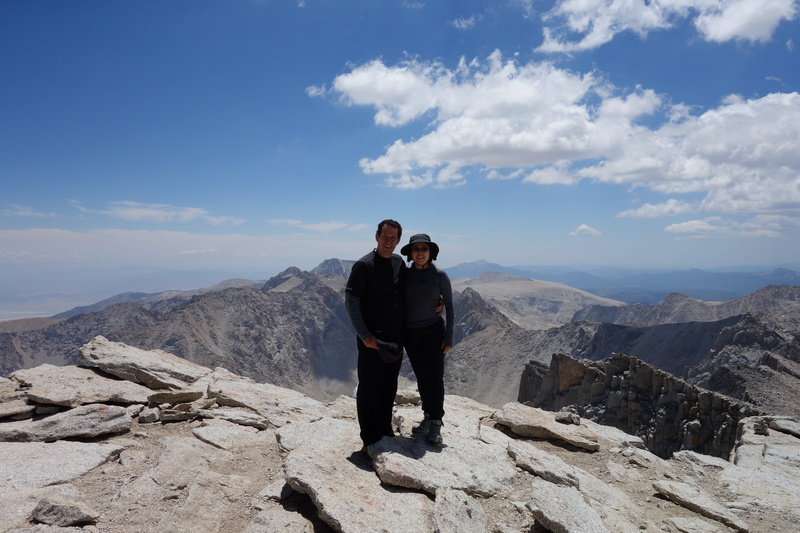 Mount Whitney – We Summited! On Sunday 7/29 our Aspen vacation ended and we traveled from Aspen via Denver and LAX (where we met up with Adam) then drove to Lone Pine. A big driving day but uneventful. We arrived in Lone Pine about 7PM and had a surprisingly excellent dinner at Seasons in Lone Pine. Lone Pine is a dusty, desolate feeling “one traffic light” town so gourmet Elk in dried cherry sauce with a nice glass of Zinfandel was a pleasant surprise. The Comfort Inn was, well, reasonably comfortable. Since Lone Pine is at only about 3500 feet and Adam had not had the benefit of several days in Aspen I thought it would be good for he and I to do a warm-up hike at altitude. 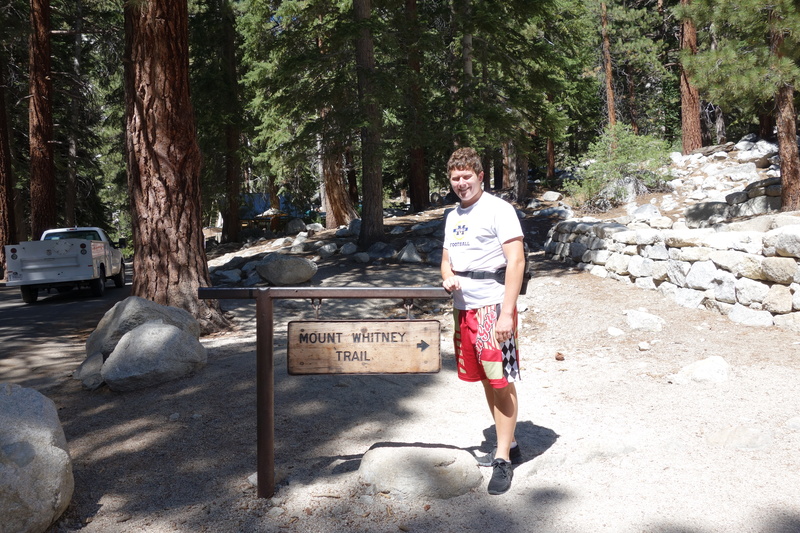 We drove to Whitney Portal, the trail head for the Whitney Trail (8360’). I also wanted to get a feel for the drive as well as the beginning part of the trail that we would be doing in the dark. I was glad we would not be doing the lower part of the hike at mid-day as it was quite hot but the trail was well marked. July 31st , the day of our ascent finally arrived. Due to concerns about lightening (20% chance after noon) and not wanting to feel under time pressure we decided to start at 2:00 am rather than our original plan of 4:00. We were underway close to plan at 2:15. 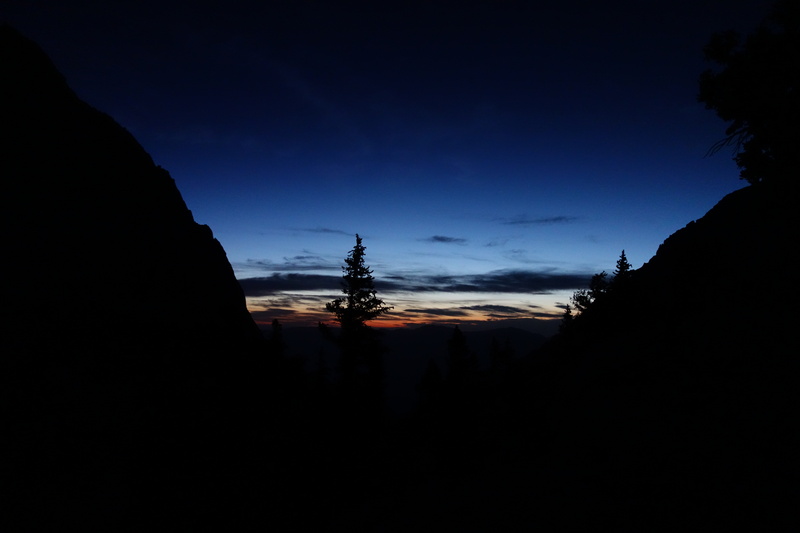 Hiking in the dark with a headlamp was surprisingly easy. At 90 lumens the headlamp completely lit up the trail. And the dark meant the trail was pleasantly cool. We came across several pairs of deers eyes glowingly looking at us. We took our first break at Lone Pine Lake at the 2.5 mile mark. After a short snack we resumed. The sun started coming up between Mirror Lake and Trail Camp. Sunrise was really beautiful and serene. To this point we had encountered very few people. 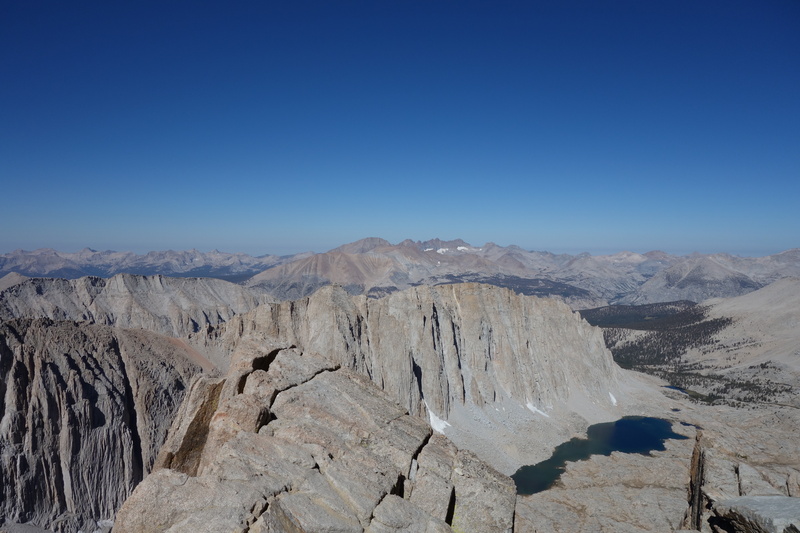 We took our first major break at Trail Camp – 6 miles up. We ate breakfast which for me was a peanut-butter and jelly sandwich. Hit the spot. 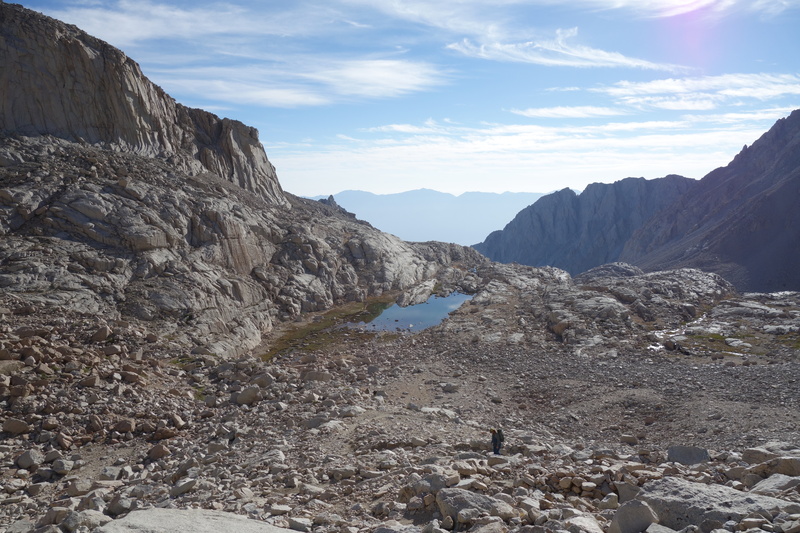 After resting about ½ hour we started purifying water for the 10 miles roundtrip to the summit. It was a mistake to start this after our rest. I bought a Steripen at REI which purifies a liter of water in 90 seconds. We each started the hike carryng 5 liters of water and to refill needed to process about 10 liters. Including getting the water from the lake and purifying that many times we spent about another 30 minutes. Next time we would deal with water during the rest/snack. Nevertheless we were more than halfway up both in terms of mileage and elevation and feeling pretty good. After Trail Camp comes the infamous “97 switchbacks”. While climbing the switchbacks you have a real appreciation of the tremendous work that it took to build and maintain the trail. 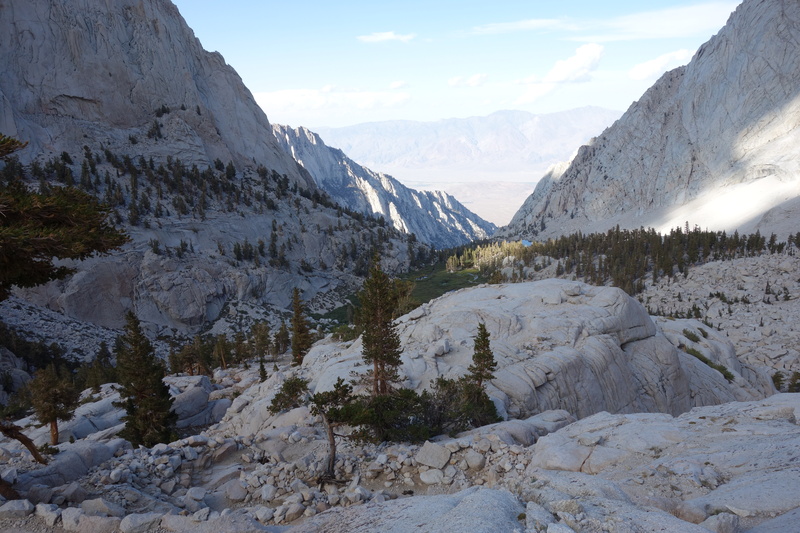 The switchbacks, while they feel long, turn a steep technical face into a hard but manageable hike. 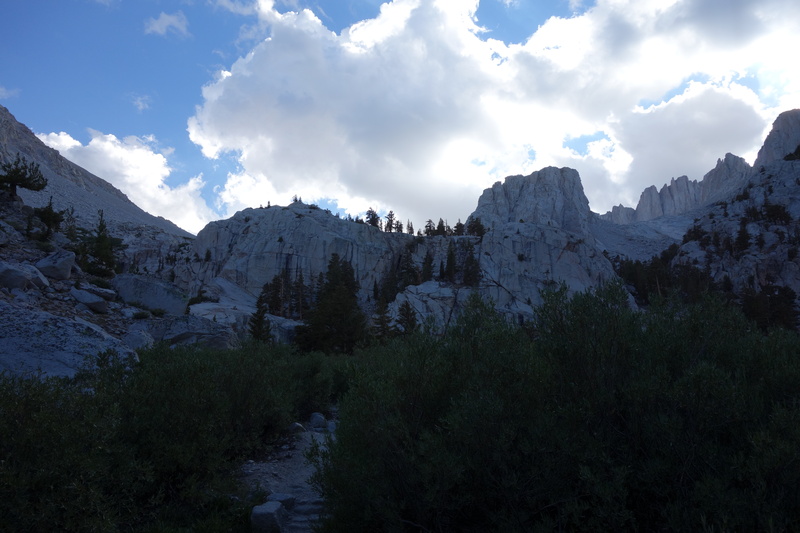 2.2 miles and 1700 feet later we reached Trail Crest. Adam and I were feeling a bit out of breath and lightheaded so we took a rest and appreciated the 360 degree views. 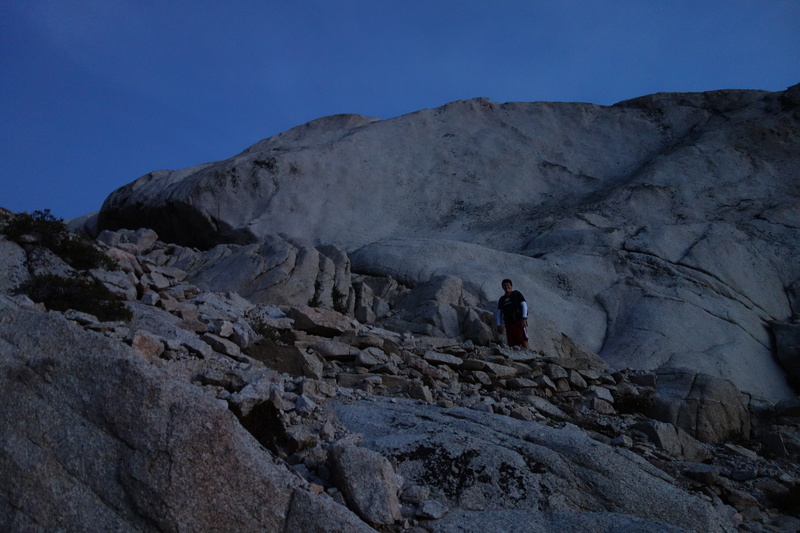 Once I caught my breath (took a bit of time as we were at 13,777’) I realized that yes, I would make it to the top. I could see it and while the last couple of miles were rocky I knew then it was doable. The last 2.5 miles were slow. While there is only a “net” 700’ gain left it is actually 1300’ as you gain and lose 300 along the trail. The trail was rockier than below but always wide enough that the steep drop offs on the sides didn’t bother me too much. 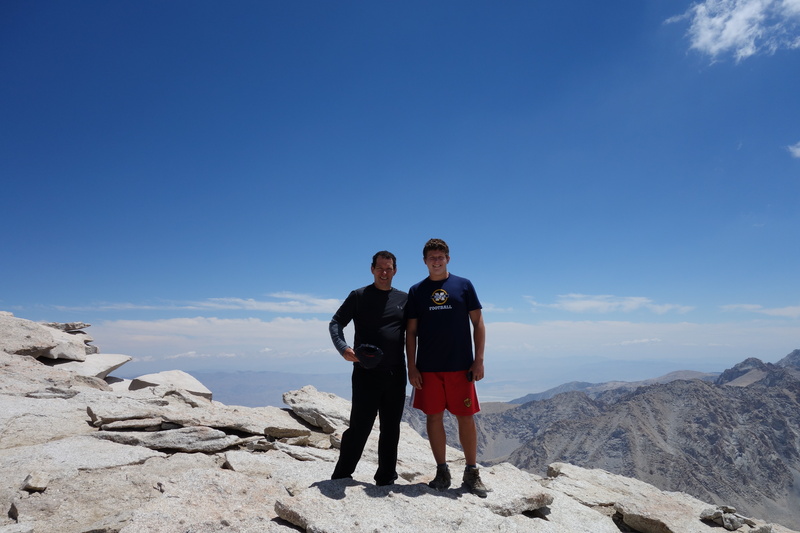 We reached the summit at 11:45am. 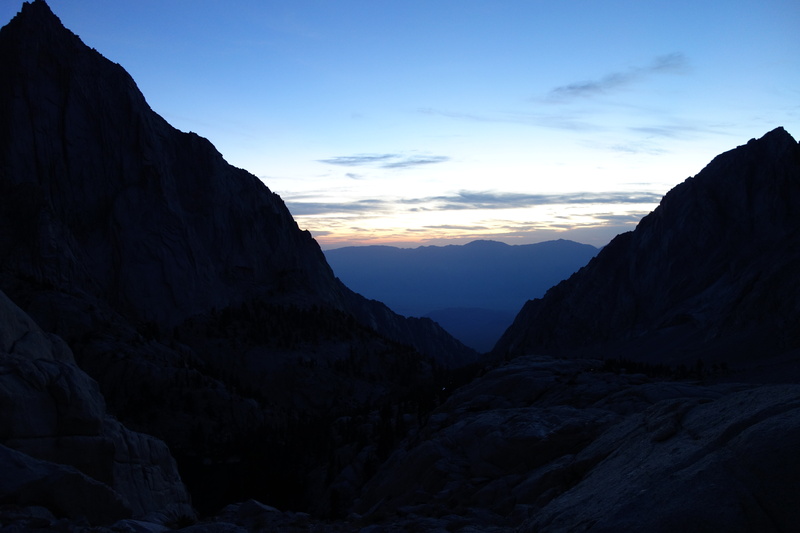 It was a real head rush – this time emotional when I looked down to the valley and saw what we accomplished. We took a few pictures and signed the log book outside the shelter. All together we spent about 45 minutes on top including a lunch break (second PB&J sandwich) an apple, some Anacin for a mild headache and lots of water. As we started down I realized that I had made a tactical error – either the altitude or the apple or the aspirin had made me nauseous. This persisted until Trail Crest making the first 2 miles of the return the hardest part of the trip for me. I chewed a couple of Pepto Bismol and finally felt ok by the time we started down the 97 Switchbacks. I didn’t use them on the ascent but decided to use my hiking poles on the way down and found them quite helpful. We were all totally out of water by Trail Camp. This time we set to work purifying water right away. 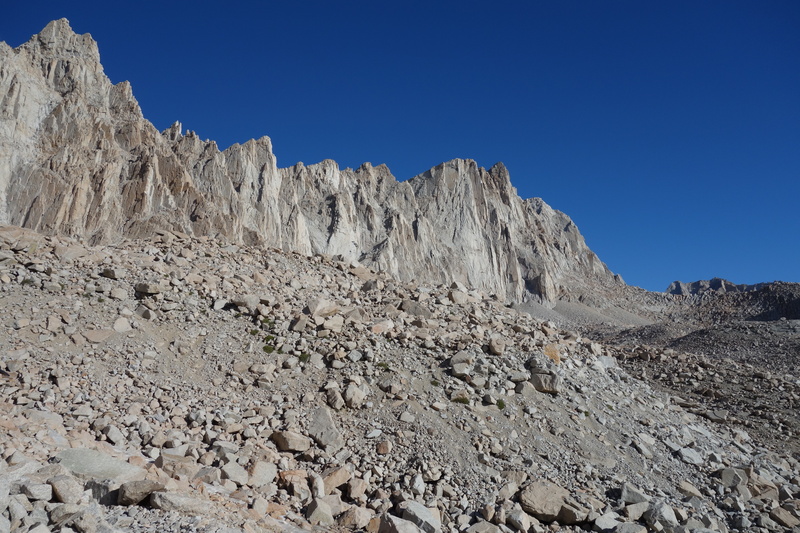 The final 6 miles from Trail Camp to the Portal was uneventful – just long. By this point in time we were simply in tired achy feet mode. Fortunately none of us were suffering from anything more acute – no injuries nor, amazingly, even blisters – just tiredness. 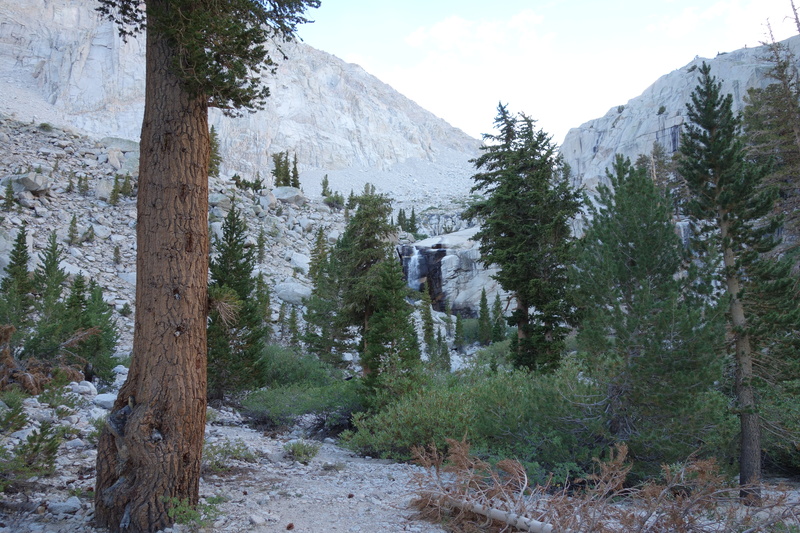 We made it to the trail head at 7:45pm – before sunset. Total time – 17.5 hours. 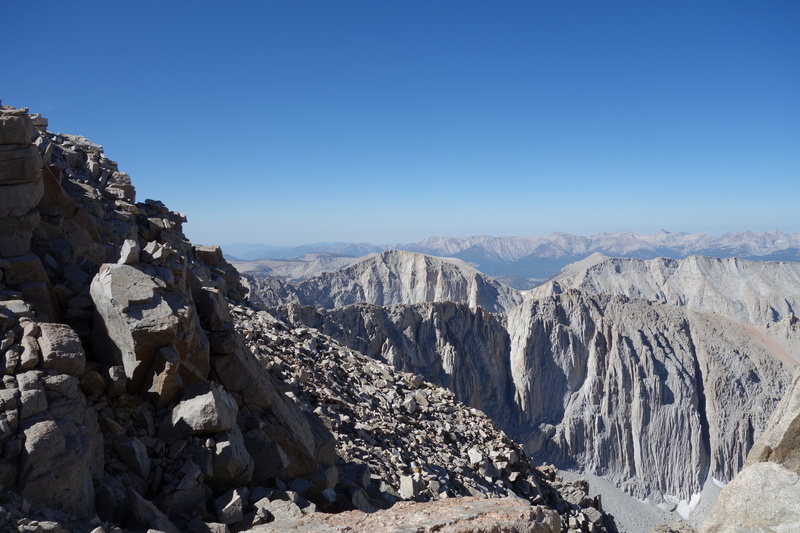 I still can’t believe how long it took us but I suppose we really didn’t have a time goal, particularly on the descent once we were off the summit. After we drove back to Lone Pine we stopped in a diner for a quick supper. We were almost too tired to eat (but we managed) and the guys had milkshakes. I treated myself to a very large diet coke – quite refreshing. While the hike was hard I never came close to feeling like I couldn’t do it. The months of training certainly paid off. 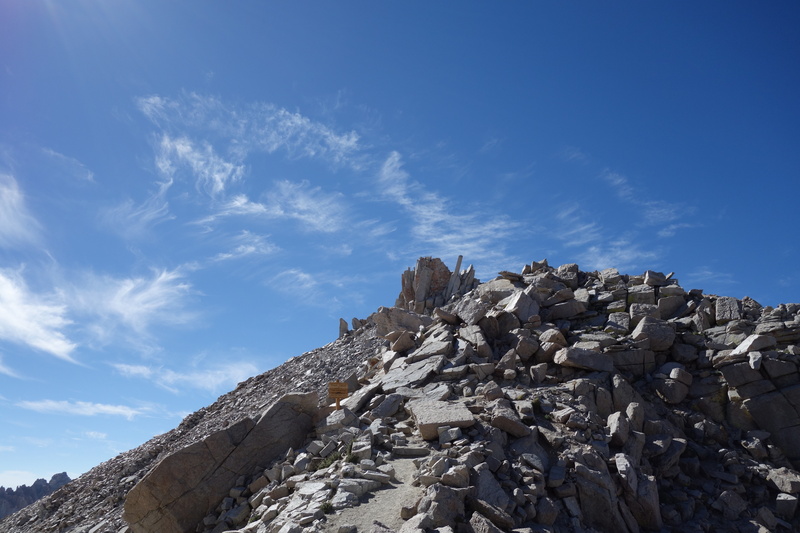 No part of the Whitney Trail was nearly as difficult as the tough parts of Mt. Tallac. Between Tallac and easily completing the 16 miles of Static Peak at 13k feet I felt prepared. During the drive home the three of us chatted about if we would want to do it again. 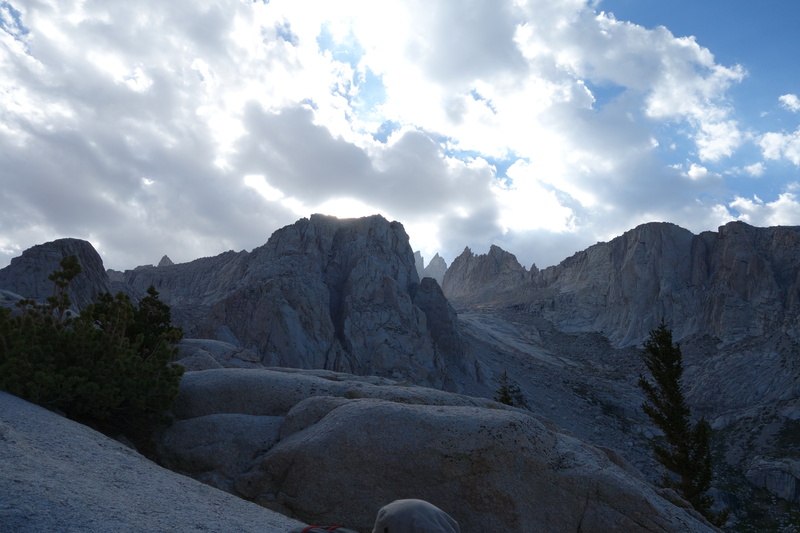 I could see going back to Whitney but might opt to do it over 2 days and camp at Trail Camp. I think it would be more enjoyable if divided up. I took about 85 pictures – far fewer than I planned. For a good part of the hike down I think we just wanted to be done rather than appreciating the scenery – next time I’d like to be in a more observational mode. I suppose the fact that we were even entertaining another visit after such a long day goes to show what a great experience it was. Certainly a memorable one. 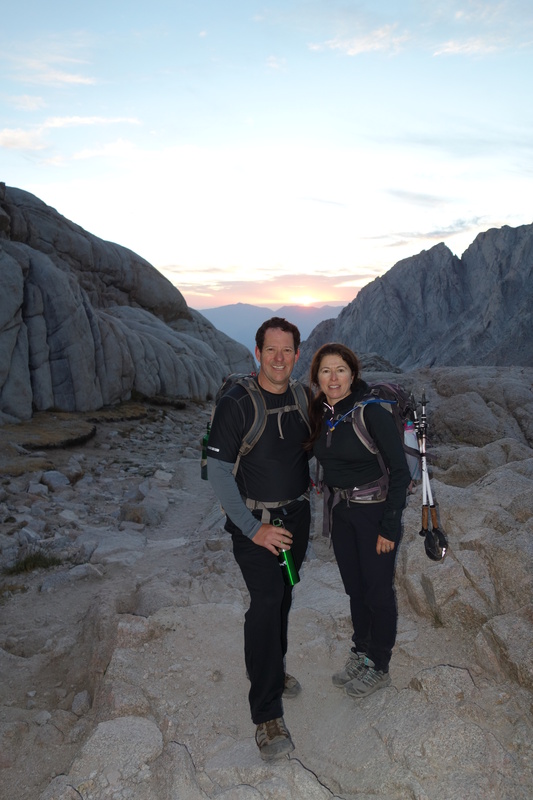 This entry was posted in Fitness, Travel and tagged Mount Whitney by lyecies. Bookmark the permalink. Congratulations to all three of you! Sounds and looks like an experience of lifetime. It seems it was well worth all the time and effort preparing and training. Congratulations on your accomplishment. I’m glad your training payed off! !